The 487th Fighter Squadron is a newly formed unit dedicated to recreating as best we can through the use of computer simulation the historical contribution and sacrifice that these men underwent in the hostile skies over Western Europe in 1944-45. The combat sim of choice will be the IL-2 Great Battles addition that will enable our cyber unit to form up and assemble for combat within the online war arenas. The 487th Fighter Group, also known as the "Blue Bastards of Bodney" flew both the P-47 Thunderbolt and the P51 Mustang, but is better remembered for it's P-51 Mustang exploits. In late 1944 and early 1945 it was based in Belgium and provided air support for ground forces during the Battle of the Bulge and the Airborne assualt over the Rhine. 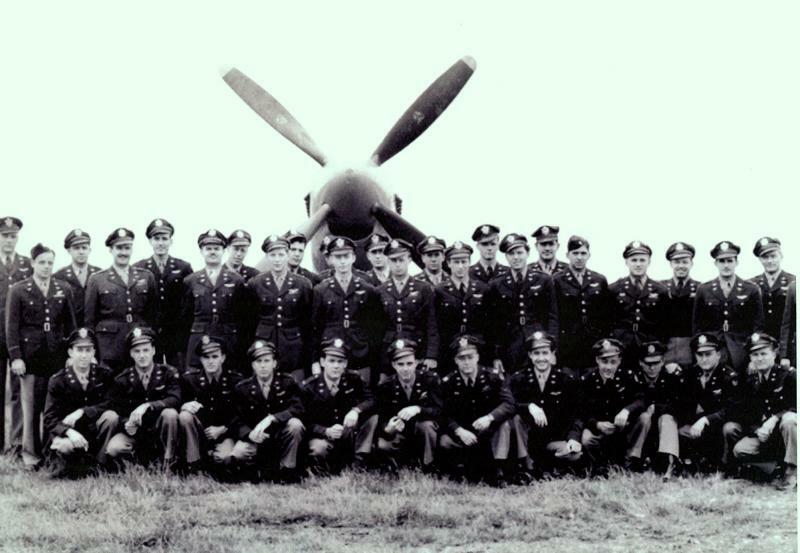 The unit was attached to the Eighth Airforce and was the only "Squadron" to be awarded the Distinguished Unit Citation. This award was usually reserved for "Group" size detachments. The 487th Squadron was attached to the 352nd Fighter Group and will be our assigned unit. Our members will be using persona based immersion and will submit AAR's (After Action Reports) after every sanctioned "Dead is Dead" mission.